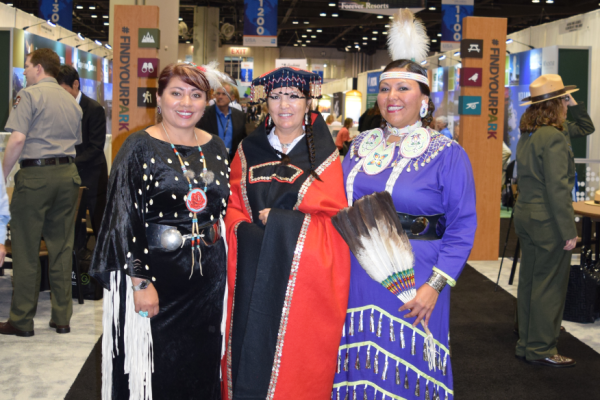 To represent all of Indian Country, the AIANTA Board of Directors is composed of two representatives from six identified regions: Alaska, Pacific, Southwest, Plains, Midwest, Eastern, and two At-Large positions. Each representative is elected by their respective region to serve a three-year term. At-Large representatives are elected by the entire AIANTA membership. Each member of our Board of Directors brings varied expertise and resources to the organization and many of our valued Board members serve on other national advisory boards, state cabinets and commissions that all work to strengthen Indian Country Tourism. 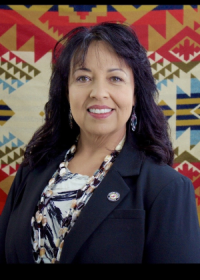 Emerson was appointed to the New Mexico Tourism Department as a Commissioner by then-Governor Susana Martinez and is the Native representative for tourism in the state of New Mexico. He has served as Chairman of the Board of Directors for Acoma Business Enterprises, Chairman of the Board of Trustees, Haak’u Museum and Director for Sky City Cultural Center and Museum. His interests lie in the economic development of his pueblo, the welfare of his native lands, the promotion of cultural tourism in New Mexico and all of Indian Country. He received his Executive MBA from Anderson School of Management, University of New Mexico and his Masters of Science degree in Information Systems Management and Bachelor of Science degree in Information Technology from the University of Phoenix. Born in Sitka, Alaska, Rachel Moreno has worked in the retail industry in Anchorage for more than five years as the manager of two Alaskan gift shops catering to visitors. 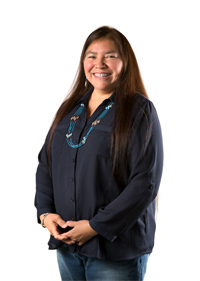 She has taken many courses in marketing and business development and served as the public information officer and marketing specialist for the Denver Indian Center. She returned to Alaska and started an office furniture business that received an SBA 8A Certification. After selling the business, she worked for the Sitka Tribe of Alaska as the Youth Program Coordinator and was named Sitka Woman of the Year in 2003 while working at a boarding school. In 2009 Rachel was elected to the Sitka Tribe of Alaska and named as representative to the Tribal Health Consortium, which employs more than 1,000 people with an annual budget of over $108,000,000. She was elected to the Executive Committee and Accreditation Governing Body for the SEARHC Board. Currently, she serves as chair on the following STA standing committees; Health Committee, Enrollment, the Boys and Girls Club, Sitka Tribal Enterprises, of Audit and Finance and holds the position on the tribal council as Secretary/Treasurer. 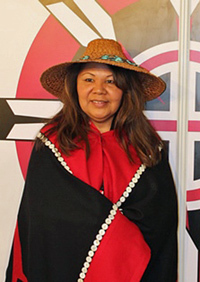 In 2010 she was named as one of two Women of Distinction by the Sitka Tribe of Alaska. Later in life, James broadened this interest when he began working for Best Western International through a hospitality oriented program at Northern Arizona University. While there, James was selected as an intern for the Heritage Program of the Museum of Northern Arizona and assisted in their summer programs featuring the Hopi, Zuni, and Navajo Tribes. From there, James attended the College of Eastern Utah and slowly moved forward to an opportunity to own and operate his own arts & crafts business in Moenkopi Arizona. In 2010, James began working for the Moenkopi Developers Corporation as the Marketing & Sales Associate for the Moenkopi Legacy Inn & Suites. 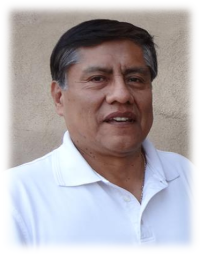 Within two short years, he was elevated to the position of Marketing & Special Events Manager, was selected as the Project Manager for the Hopi Arts Trail Project, and received the 2012 Manager of the Year Award for his efforts within the Moenkopi Legacy Inn & Suites organization. 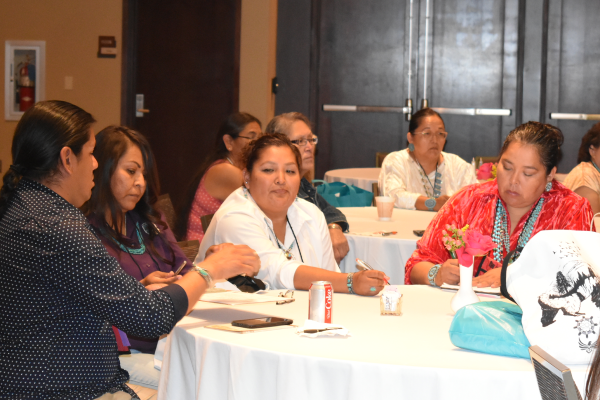 James believes that only through true cooperation and the absence of politics can we move forward in achieving economic stability for Indian country. Bringing opportunities to the reservation versus looking for opportunities off the reservation is key in building a sustainable future for our communities. James resides in Tuba City Arizona with his family and continues to work in supporting the Moenkopi Developers Corporation vision of a better, sustainable, economic future for the Upper Village of Moenkopi and the Hopi reservation. Ms. Chaisson has worked with the Inter-Tribal Council of Louisiana/Institute for Indian Development since 1994. In her current position, she acts as the Program Director for the Institute for Indian Development, Domestic Violence Program, where she assists Louisiana Native American women, men and children who are survivors of family violence, domestic violence and dating violence. Her program provides and/or recommends supportive services including legal services, safety, empowerment and self-sufficiency and provides awareness and educational components to community members about domestic violence. She serves as a member of the Louisiana Coalition Against Domestic Violence and Violence Against Women Taskforce. Prior to her current position, Ms. Chaisson was the Job Developer for the Inter-Tribal Council of Louisiana and administered employment and training programs for Native Americans throughout Louisiana and currently serves on a regional Workforce Investment Boards, as a representative for Native Americans. Ms. Chaisson is a proud alumnus of the American Indian Opportunity Ambassador Program, a national organization that provides capacity building and leadership development for Native American professionals to strengthen their ability to grow their communities. This program inspired her to be a strong representative of her tribe in many roles. As an active member of the United Houma Nation (UHN), Ms. Chaisson is the former Chairperson of the UHN Personnel Committee and serves on the Government Committee. She has served as the formal UHN delegate to the National Congress of American Indians for twelve years and was the former Vice-Principal Chief of UHN. Ms. Chaisson is also a formal member of the Planning Committee for National Indian Native American Employment and Training Conference. Ms. Chaisson is the daughter of Theo and the late Betty Chaisson and is a part owner of Isle de Jean Charles Marina, Inc. During her free time, she enjoys teaching friends and family about traditional Houma cooking and makes unique pieces of jewelry from the hide of the alligator and scales from the alligator garfish. She is also a proud traditional basket weaver. Mario Fulmer is from the Xúna Kaawu, the portion of the Tlingit tribe of Southeast Alaska who were chased out of their homeland during the last little ice age by the rapidly advancing glacier, which over time retreated and created Sít’ Eeti Gheeyi (the bay in place of the glacier), which was eventually federally mandated part of Glacier Bay National Park and Preserve. Mario’s Tlingit name is Kha L’ee, he was named after Jim Austin Sr. of Hoonah, Alaska. He was born Raven from the T’akdeintaan (Black-legged Kittiwake) clan and into the Raven Nest House. He is the child of the Chookaneidi (Brown Bear) clan and the great-grandchild of the T’akdeintaan clan. 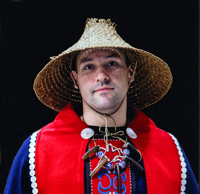 Mario travels domestically and internationally with his dance group sharing and connecting guests to Tlingit culture. As he has attended many cultural gatherings around Alaska, the Pacific Northwest, and various parts of the world, he also took time to continue his education and studied business and science in Washington State. Mario is a Certified Interpretive Guide (CIG) by the National Association of Interpretive (NAI) and an Alaska Guide Trainer certified by the Alaska Forestry Service of the US Department of Agriculture (USDA). Post University he returned home to Alaska and was offered the position of Visitor Programs Manager at Alaska Native Voices, where he manages the cultural interpretive guiding programming onboard cruise ships and tour vessels traveling in Glacier Bay National Park and Preserve; Alaska Native Voices is a subsidiary of Huna Totem Corporation, an ANCSA (Alaska Native Claims Settlement Act) village corporation. Mario lives in Juneau, Alaska with his family and works to preserve culture and tradition for the children of today, the grandchildren of tomorrow, and the great-grandchildren of the future. Crystal is a member of the Oneida Nation of Wisconsin. The Oneida Nation has over 16,000 enrolled members globally. Crystal brings over 18 years of experience to the Tourism industry. Prior to moving to Miami, FL she was the Advertising Director for the Oneida Nation’s Tourism Department, the first tribal tourism department in the US. She was responsible for negotiating the first Tribal contract with the NFL. They currently have their own gate – the “Oneida Nation Gate” at historic Lambeau Field – home of the Green Bay Packers. The Oneida Nation presently have their exclusive Oneida Nation tours through their Tourism Department and will tailor these to the visitors’ needs. The Oneida Nation has a vast array of tourism initiatives including, the Oneida Nation Museum, Tsyunkehkwa (a holistic retail entity), a Buffalo Farm as well as an Oneida Cultural Heritage Department. They also have a Business Development Unit which operates their One Stop Convenience Centers and gas stations throughout the reservation. After moving home in 2013 Crystal currently is a Sales Manager at the Radisson Hotel & Conference Center Green Bay. Her markets include Tribal, Association and Government. Crystal holds a Bachelor’s degree is in Management and Communication and has a Master’s in Management and Organizational Behavior. She has previously served on the Native American Tourism of Wisconsin as well as the Green Bay Children’s Museum Board. Travis manages all aspects of development associated with Cherokee Nation’s cultural resources, including; site planning, budget planning and administration, business development, architectural development, construction, restoration, museum development, retail remodels, cultural tour operations, events and cultural tourism marketing. While working for the Cherokee Nation, Travis has worked to develop restoration plans from multiple historic properties, managed the development of four gift shops, two welcome centers, and three museums and is currently working on site plans for two other historic properties. Before joining Cherokee Nation Businesses in early 2008, Travis worked for the Cherokee Nation Commerce Department and primarily focused on rural community development through tourism, including agritourism, entrepreneurial development and Scenic Byway development. 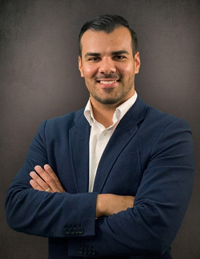 Travis has key experience in the following areas: strategic planning, construction project management, contract management, budget administration, marketing, business development and analysis, experience working with tribal, state, and federal agencies, team building and public speaking. Travis holds a Bachelors of Business Administration and has a Master’s of Business Administration. Travis currently serves as the Board President for the Tulsa Children’s Museum, board member of Preservation Oklahoma and is a board member of the American Indian Alaskan Native Tourism Association. Travis is a Leadership Tulsa Class 52 Alumnus and has previously served as a Tulsa Street School mentor, vice-president of the Cherokee Hills Byway, and past board member of the Tahlequah Area Habitat for Humanities. Once in a great while, you’ll meet someone who has a remarkable ability to bring together a variety of resources, a variety of voices, and a variety of perspectives…and somehow create a singular vision to move forward. Which is to say, once in a great while, you’ll meet someone like Jamie Sijohn. Ms. Sijohn is a member of the Spokane Tribe of Indians and grew up on the Spokane Reservation located approximately 50 miles northwest of Spokane, Washington. Jamie began her career in the NBC Television newsroom in Spokane as a news writer. She quickly advanced throughout the ranks of the newsroom and became the Assignment Manger leading a team of reporters and photographers. Throughout her years at the highly rated TV newsroom, Jamie learned how to use the mainstream media to focus a positive spotlight on the many great stories within Indian Country. Ms. Sijohn has 20+years of media experience on a variety of platforms including traditional media, social media and public relations. Jamie was the Public Relations Director for the Spokane Tribe, working with diverse media contacts and creating initiatives to spotlight the tribal community, people, history and culture. Jamie created an annual event celebrating National Native American Heritage Month highlighting the Spokane Tribe and its heritage. The educational celebration is a public event teaching the surrounding neighbors about the important history of the Spokane Tribe, economic development projects of the tribe, and job creation by the Spokane Tribe at its tourism amenities. 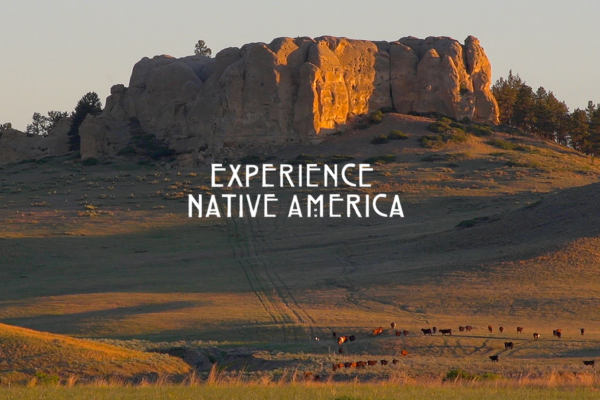 The Native American Heritage event has evolved into a multi-media campaign supported by many tribal and non-tribal partnerships. Creating partnerships resulting in win-win opportunities is an expertise Jamie brings to the AIANTA organization. For example, Jamie saw the need to replace a deteriorating statue honoring Chief Spokane Garry at a Spokane, Washington city park. Jamie rallied a diverse grassroots support of volunteers raising thousands of dollars to build a culturally appropriate landmark to replace the vandalized statue of Chief Spokane Garry. Bringing people together is an asset that will benefit the AIANTA membership. Ms. Sijohn is currently an Account Manager at BHW1 Advertising, Jamie develops client relationships and programs, with a special emphasis on tribal businesses and economic development projects. She continues focusing that positive spotlight on Indian Country. 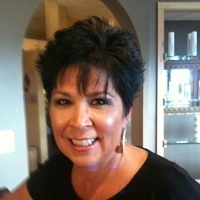 Leslie Shakespeare is a member of the Eastern Shoshone Business Council. 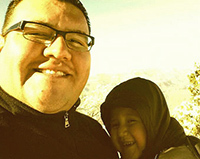 His role as part of the Eastern Shoshone Tribe’s government is to provide for and protect the health, safety and welfare of all its tribal members. All his duties and actions are implemented in an informed and sensitive manner, respectful of tribal sovereignty and the traditional and cultural values, beliefs and principles of tribal members and governments. He currently is serving a four year term that began in November of 2016. Mr. Shakespeare has been committed to bettering his reservation community since graduating from college and returning home to use his skills to serve his tribe and the reservation as a whole. 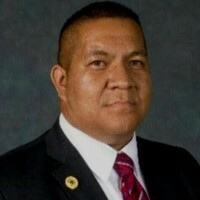 He served as a Juvenile Probation Officer with the Eastern Shoshone Juvenile Services for five years then served as the Director of the department for another three years. He left that position to become a Bureau of Indian Affairs police officer committed to keeping the reservation safe. He left that position after four years to continue serving his Tribe and community at a higher level as the Wyoming Governor’s Tribal Liaison. Mr. Shakespeare is a proud alumnus of the University of Wyoming graduating with a Bachelor’s of Arts in Criminal Justice in 2002 then receiving a Masters of Public Administration from Norwich University in 2007. He is the father of two daughters and one son. Darrell Waldron (Seacoke Wampanoag/Narragansett) is the Executive Director of the Rhode Island Indian Council Regional Agency. Darrell’s long career spans more than 30 years serving alongside many native leaders in Indian Country and he has been awarded national, regional and state recognition for his dedication and achievements. He has served multiple terms on the National Advisory Council for DINAP (Division of Indian and Native American Programs) for the US Department of Labor. 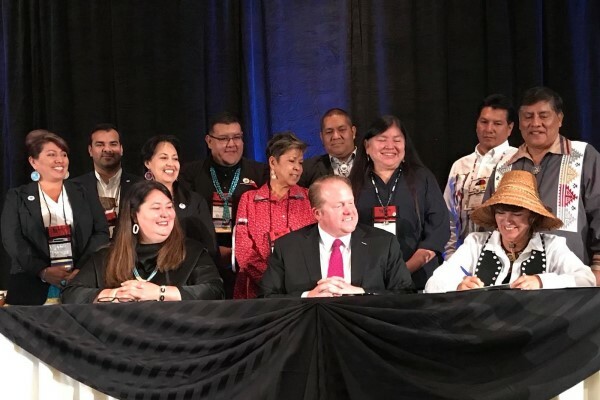 Under his leadership, the Urban Indian Agency has serviced thousands of tribal members with career training and placement and resulted in over 15,000 associates and bachelor’s degrees for low-income Native Americans. His offices include Rhode Island, Connecticut, New Jersey, Delaware and New York which includes Indian Health Services. Darrell has been a visionary throughout his long career and is respected for his strong voice at a bureaucratic level to include Native people in the narrative of modern America. 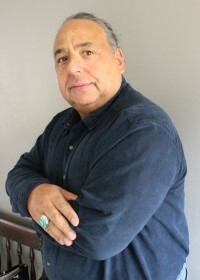 Mr. Waldron was the Founder and President of the American Indian Community Development Corporation in Rhode Island, whose mission it is to implement economic development strategies for job growth. Mr. Waldron has also served on the Rhode Island Governor’s Board, Providence Police Advisory Board; Omni Housing Development Corporation Board; Chair of Harbor Heritage Museum Board of Directors; American Indian Health Care Association Steering Committee; Tribal Vocational Rehabilitation Program Advisory Council; Workforce Partnership of Greater Rhode Island Board and the Providence/ Cranston Workforce Investment Board. His dedication for his community comes not from the need for recognition but from a greater vision for a better life for Native people.